Natural Medicine & Rehabilitation (NMR) envisions a society that consistently acts on their responsibilities toward greater health for themselves and their loved ones. It is a significant part of NMR’s mission for its services to consistently support a shift in health consciousness to health and wellness and not merely disease treatment. NMR demonstrates its role in support of this consciousness with healthcare services and educational seminars on the therapeutic lifestyle changes that are necessary to realize this vision. NMR provides natural based healthcare that incorporates key aspects of traditional and complementary medicine that are fundamental to true long-term health. This creates a unique and comprehensive approach to healthcare all in one location. The primary focus of healthcare at NMR is on physical therapy, clinical nutrition, stress tempering techniques and education as well as physical rehabilitation and reconditioning. These core services address the pillars of the ‘Triad of Health’, which is namely your body’s chemical, mental/emotional and physical state. 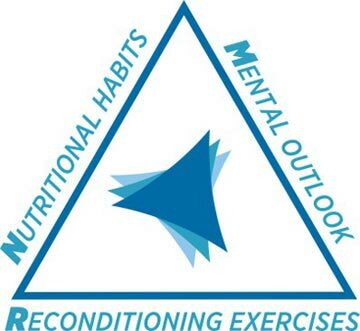 The Triad of Health can most easily be referred to as ‘you are what you eat, think and do!” and it is the consistent choices that we make in these areas that will have the most significant impact on our health. We believe it is the combination of the core services at NMR that is integral in helping a myriad of health problems at their source. It is in providing these services with care and professionalism that NMR prides itself.